Women in Clothes (2014, Blue Rider Press) is an anthology unlike any kind before it. At 515 pages, you may wonder what so many women have to say about their clothes, their relationship to clothes, and what they think of other women’s clothes. In 2013 I was still an active on Facebook (you won’t find me there now). Sheila Heti was a FB friend of mine, though we didn’t really know each other. She had done a reading at my college, and I liked that her work was odd, and that she, too looked unique in a way I couldn’t place, so I friended her, which many of us do. Through FB, Heti put out a call for participants in a survey for women about clothes. That was about all I knew, but I felt the tug of my past quizzy self asking me to do it, thinking of those years as a teenager when I filled out hours of questionnaires (what’s your favorite color? what’s the first thing you do when you wake up? etc.) my friends sent to each other, typically through AOL e-mail. I responded to Heti’s request and filled out a long survey about clothes, style, make up, and jewelry. 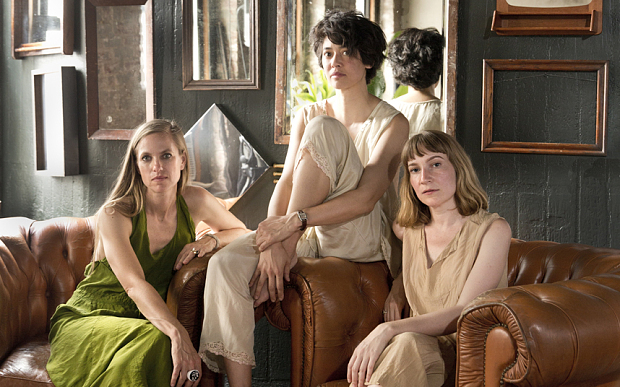 Heidi Julavits, Leanne Shapton, & Sheila Heti (L to R). Photograph by Gus Powell. In 2014, I learned that Women in Clothes was not only a reality, but it was a huge project. 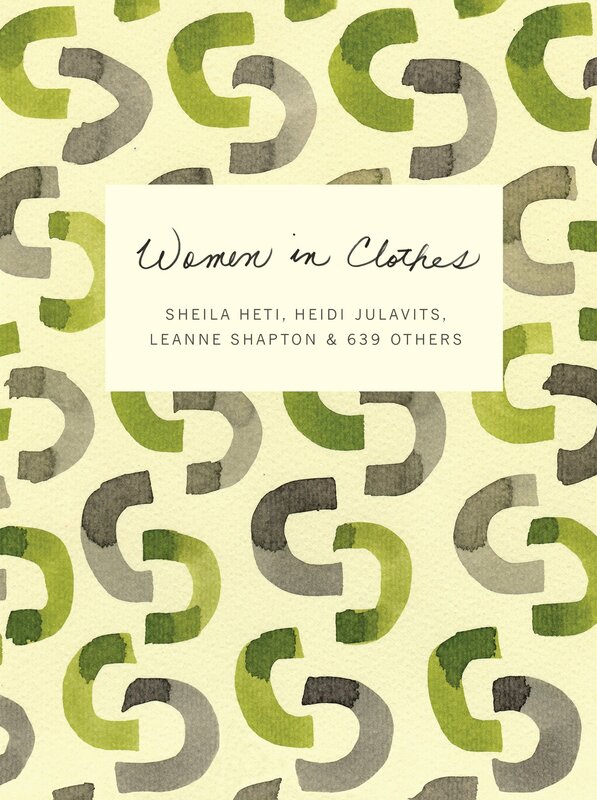 Sheila Heti, Heidi Julavits, and Leanne Shapton collected surveys from around the world, conducted interviews, gathered photo evidence, stories, and diagrams about fashion from over 639 (myself included) participants. The anthology is described as “essentially a conversation among hundreds of women of all nationalities—famous, anonymous, religious, secular, married, single, young, old—on the subject of clothing, and how the garments we put on every day define and shape our lives.” I received my contributor’s copy and must admit, I was a bit shocked when I held it. This book is enormous, and because it’s not a narrative, I wasn’t sure how to approach it. In all honesty, I put the book in my bathroom and decided it’s short sections would make such a room the perfect place for it. Occasionally, I would take the book into another room and read it there, but there is so much information that it seemed better to read only one small section at a time. I read Women in Clothes cover to cover, skipping very little. One page shows a diagram of stains on clothes, which I didn’t care to read thoroughly. The fiction stories, though there aren’t many, were too avant garde for me. But overall, I read the whole thing, front to back. The anthology begins with a conversation between Heti, Julavits, and Shapton. It’s a bit gossipy and teenager in tone, which I found grating, but I can see how the authors were trying to keep the dialogue as real as possible, or perhaps they even recorded what they said and typed the conversation verbatim. I’ve read a number of reviews on Goodreads that point out a dislike of this introduction to how the idea for the book began, and I must admit that I also wish it started more professionally. 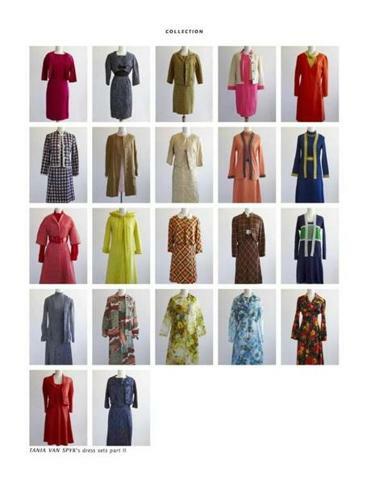 Women in clothes isn’t just pages of writing; there are a number of images, such as photocopies of women’s hands, pictures of mothers, and a series of women who swap outfits (so we can see how clothes change with bodies). There are tons of images, both in color and black and white. 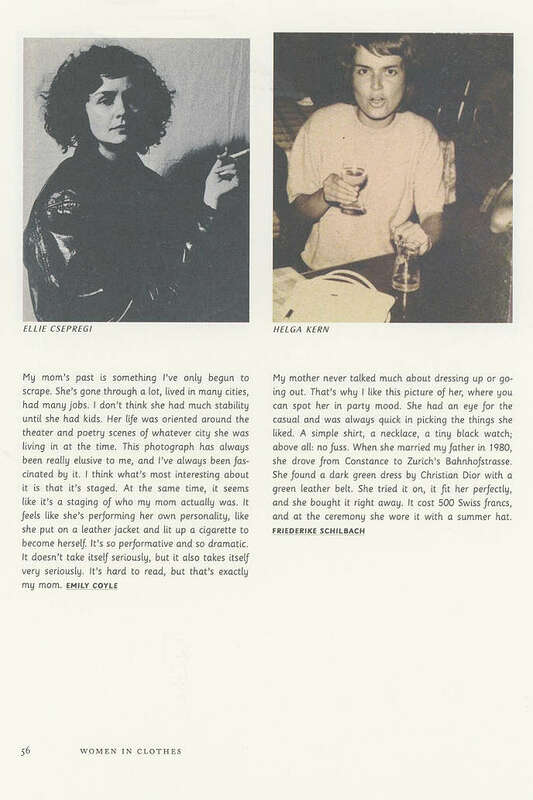 I found the most touching to be pictures of mothers that daughters submitted, who then describe what they think of their moms. I recommend this book as a cultural artifact. I recommend it for it’s uniqueness. I recommend it to get you thinking about your own exterior and how it affects your interior–and vice versa. This review was written after I read my contributor’s copy. I make no money and gain no success from having two of my survey answers appear in this book, but it could cause some bias because I want the book to do well, yet feel that it stands on its own merit. I’d love to read this one. I very much enjoyed Leanne Shapton’s ‘Important Artifacts and Personal Property…..’ Featuring Sheila Heti. It’s so cool that you are included jn this. Hmm… what an interesting idea for a book! I’m not much of a fashion lover (standard t-shirt and jeans for me!) but I can see its appeal! Thanks for the review. Thanks for writing! I’m not a fashionista myself, but this book goes way beyond “fashion.” I was surprised how strange relationships to clothes are across the globe. I’m no fashionista either, but it does sound a wonderful collection of pieces of writing.